In January 2015 Plunkett Raysich Architects announced it was moving back to the greater Downtown area. 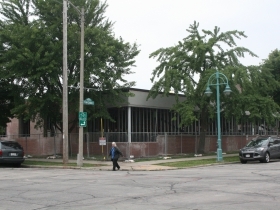 The company was founded in 1935 and located Downtown, but moved to the suburbs in the late 1960s and later to the city’s far Northwest Side. Now it’s coming back to where it started. Much has been made of Northwestern Mutual’s decision to build its huge new addition Downtown, but there is also a long list of companies that have decided to move from the suburbs to Downtown or Walker’s Point in just the last few years, including Stormwater Solutions Engineering (from Pewaukee in 2012), Corvisa Services (Wauwatosa, 2012), Natural Resources Technology (Pewaukee, 2013), Readers Digest (Greendale, 2014), Irgens (Wauwatosa, 2014), HSA Bank (Glendale, 2014) and Stark Investments (St. Francis, 2015). 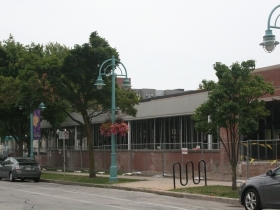 Charles “Chad” Wilkins, head of HSA Bank, told the Milwaukee Journal Sentinel that its move to Schlitz Park in Downtown embraces “a great location” where “all of the amenities will help us attract new talent.” He noted the proximity to downtown restaurants and entertainment, the RiverWalk and access to public transit. In the last decade, from 2004 to 2014, developers built 6,348 new residential units in greater Downtown, city statistics show, and an additional 765 units are under construction. This occurred despite a drastic slowdown in real estate development from 2008-2013, due to the Great Recession. With added residential density, there are more potential customers for restaurants and bars and other nightlife. Within a ten-block radius of 1st and National is the hottest restaurant scene in all of metro Milwaukee, and Plunkett Raysich’s new headquarters will be on S. Water St., “with all these restaurants within walking distance for lunch,” Raysich notes. The increase in residential units in greater Downtown goes back to the 1990s, and began under Mayor John Norquist. Since 2000, the downtown population has increased by nearly 26 percent, the downtown Business Improvement District (BID 21) found. “In 2012, the media age of downtown residents was 29.9 years old,” the BID’s website notes. As for business, the BID now counts 1,200 businesses in the downtown area — and the number is growing. The BID’s 2009 study of 46 small business CEOs had very similar results. “Small companies choose to locate downtown for the same reasons as larger companies. They cite the classic advantages – proximity to clients and workforce, centrality, vibrancy, and prestige – as their reasons for being downtown,” the study noted. Plunkett Raysich Architects New Office Rendering. 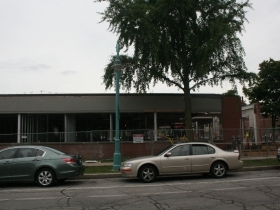 Rendering by Plunkett Raysich Architects, LLP. 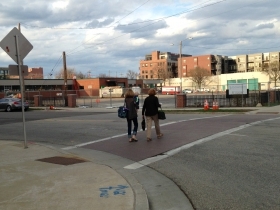 While the emphasis in recent years has been on adding businesses to greater Downtown, in the period from 2006 to 2012, the city was adding a long list of businesses to the redeveloped Menomonee Valley. Many of those companies relocated from the suburbs, including Proven Direct (from Menomonee Falls, 2007), Derse Inc. (Wauwatosa, 2008), Taylor Dynamometer Inc. (New Berlin, 2008), Zimmerman Architectural Studios Inc. (Wauwatosa, 2009), J.F. Ahern Co. (Menomonee Falls, 2012), and a more recent addition, Solaris (West Allis, 2015). Much of that was land owned by the city. Future development will come in the eastern portion of the Menomonee Valley, mostly privately held land, for which the city has high hopes. This could help knit together the Menomonee Valley and Walker’s Point, which is attracting companies to the Water Technology Hub near S. 2nd Street. Besides the companies moving into the city from the suburbs, there are many that have moved from outlying parts of the city to greater Downtown, or who have always been in the area and have decided to expand. 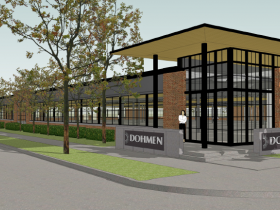 One such company is Dohmen, which has been located in the Third Ward since 1858 and moved to a temporary headquarters in Menomonee Falls while it completely redesigned and renovated a building in the Third Ward, which will be its new headquarters. 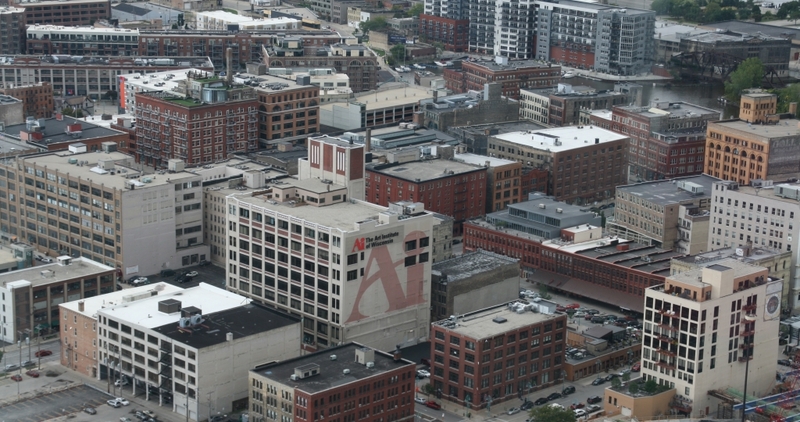 The biggest problem in Downtown remains western Wisconsin Ave., which has been a failure for many years, but here, too, a sudden increase in residential development may provide a solution. 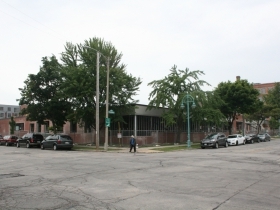 Four new projects are planned: The Posner Building at N. Plankinton Ave. and W. Wisconsin Ave., the Germania Building on N. Plankinton Ave. and W. Wells St., the old Blue Cross Blue Shield Building on Michigan (The 401), and another development on N. 7th St. and W. Michigan St. (700 Lofts) will all bring more residential units to this part of Downtown. This will bring more young members of the workforce that may attract more businesses and spur more retail as well. Who knows? Maybe it will even provide some momentum to help revive or replace the forlorn Grand Avenue Mall.